Home › Workers' Compensation › Worker’s Compensation – What are your rights to medical treatment and income benefits? What is a Posted Panel Of Physicians? The Georgia Workers’ Compensation Act requires that a Posted Panel Of Physicians. This is a list of at least 6 doctors or the name of the certified WC/MCO posted. This list is the list of doctors or medical providers that the injured worker can select from for his or her authorized treating physician. If you go to a personal doctor, then the worker’s compensation adjuster usually will not be required to pay for the treatment received. Atlanta worker’s compensation lawyer Richard Griffin has successfully invalidated many Posted Panels of Physicians when the panel did not meet the requirements of Georgia law. This results in the injured worker being able to select their authorized treating physician from any qualified doctor. This can make a huge difference in the worker’s compensation claim since some doctors on some Posted Panels may be known for being less than fair and unbiased. Claimant’s Right to a One Free Change of Physician? The injured worker is allowed one free change of physician to a second doctor on the Posted Panel or in the certified WC/MCO without prior authorization. 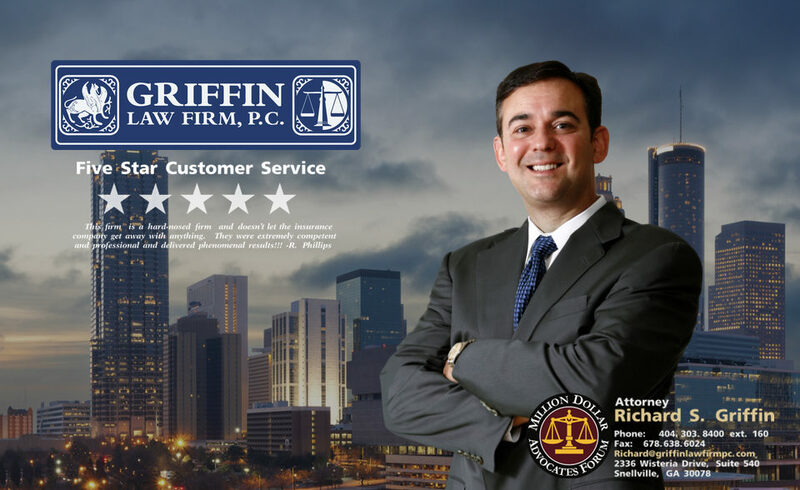 Attorney Richard Griffin knows that which doctor the claimant selects can make a big difference in the quality of the medical treatment received. Our knowledge of the doctors can help make sure the employee selects a doctor that will be fair about the work restrictions and medical treatment that is recommended. Emergency Medical Treatment is Normally Authorized? The injured worker can seek emergency treatment from any doctor, but if a judge does not agree that the treatment was for a real medical emergency, then the injured worker might be stuck with the having to pay the bill. Claimant’s Right to Medical Expenses and Travel Expenses Being Paid: Worker’s compensation adjusters must pay for authorized medical treatment and for the necessary travel expenses such as mileage. It is important to submit these medical bills and mileage reimbursement requests to the adjuster within one year of the date they are incurred. Otherwise the adjuster does not have to pay for these medical bills and travel expenses. Claimant’s Right To Weekly Income Benefits: Weekly income benefits called temporary total disability benefits or temporary partial disability benefits are not allowed unless or until the injured worker is out of work for more than 7 days. The first check is due no later than 21 days from the first date of disability. If the injured worker is out of work for 21 consecutive days, then the injured worker must be paid for the first 7 days missed. Temporary total disability benefits are paid when the injured workers are unable to work due to their injuries. These benefits are paid for up to 400 weeks with a comp rate not to exceed $500 per week. The comp rate is based on 2/3 of the average weekly wages earned by the injured worker during the 13 weeks prior to the date of accident. Temporary partial disability benefits are paid when the injured worker returns to work with work restrictions and is making less than they made before the accident. The maximum TPD comp rate is $334 per week. The TPD comp rate is calculated by subtracting each weeks earnings from the previous average weekly wage based on the 13 weeks prior to the date of the accident. Then the comp rate is based on taking 2/3 of this amount. Why hire a worker’s compensation lawyer? Worker’s compensation is a complicated process and one that can easily result in the injured worker not receiving the medical treatment, income benefits, permanent partial disability benefits, and settlement that they need and deserve. Free Consultation: Call today for your free worker’s compensation evaluation, or submit your case to us at [free workers comp case evaluation]. ‹ Worker’s Compensation – What actions can cause a worker’s compensation claim to be rejected?